Creating a shortlist of Australia's best pizzas is like trying to choose between your mozzarella-covered children, so we asked for the help of some of the biggest pizza snobs out (otherwise knows as Urban List Editors) to compile our picks of the best pizzas in Australia. While we know pizza preferences differ, we think we can all agree there are a few unanimous criteria that any truly great pizza needs to uphold. 1. The pizza dough has to be perfect. Not too doughy. Not too crisp. Some like it chewy, others want crunch, but if you bring us a burnt base (or worse, a stodgy pillow) it's over. 2. They have to nail the tomato sauce. Nonna's secret recipes encouraged. 3. If there is a mayonnaise swirl in sight, GTFO. Without further ado, here's our list of Australia's best pizzas. It's a pizza party! You can cut your own slice at Melbourne pizza institution Ladro, and you'll want to serve yourself a big one. 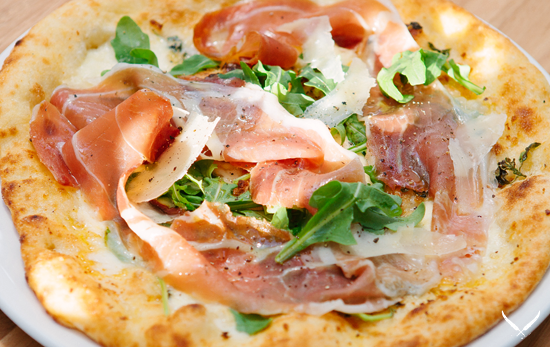 The Otto is our pick—with bufala, speck, capers, anchovies (don't be a baby, they're delicious), basil, and rocket. At Via Napoli they do 1-metre pizzas, and, unlike most novelty sized foodstuffs, you'll want to eat every tasty inch. Home to red-and-white-check tablecloths and one of the best pizzas we've ever tried, The Prawn Fraser, Lazerpig is a newie, but a goodie. 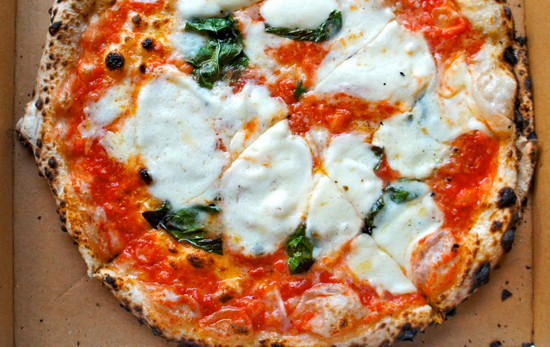 Napoli Nel Cuore do simple pizzas that always hit the mark. Live on the edge and order the adorably named 'Fabio's Fantasy', a surprise pizza made by the chef. No list of Australia's best pizzas would be complete without Aperitivio. The chef tells us each slice should be able to be swallowed in three to four bites—anything more is too much. We concur. It's impossible to put a foot wrong when choosing from DOC's menu. Maybe order everything? 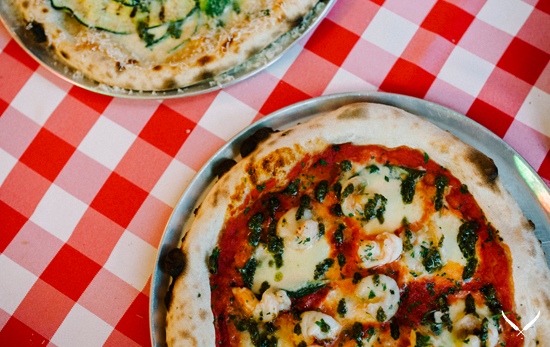 If you're on the hunt for the best pizza in Australia, Postino pizza bar is a winner. The Tartufo pizza, made with truffle cream, mushroom, fior di latte, San Daniele proscuitto DOP, has stolen our hearts. High quality ingredients and a consistently great base make Vacanza a shoo-in for Australia's best pizzas. The Da Franco (made with San Marzano tomatoes, fresh burrata and triple-smoked ham) is the stuff of pizza dreams. A menu created by the formidable PJ McMillan and a wood-fired oven at the heart of the restaurant has ensured Tinderbox a place on our best pizza line up. 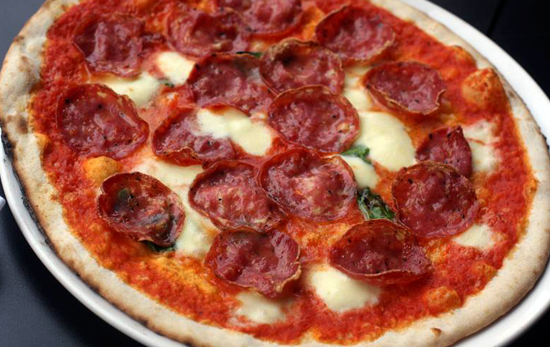 Mario's is the place to go for your classic pizza napoletana. The Speck e Fontina is our pick of the bunch. We love a pizza joint that isn't afraid to call itself a pizza joint. And we love a pizza joint even more when it has a pizza on the menu called the Fat Tony. Needless to say, we like Shawcross a lot. Fratellinos is a local favourite, largely due to their ridiculously well-priced and dependably awesome pizza menu. The caponatina pizza at Da Orazio is try-before-you-die amazing. The hordes of Italian families dining at Bocca are testament to the home-style deliciousness of this pizza. It's simple, and it's good. Lines out the door every night of the week for years means the guys at Beccofino are doing something right. And that something is pizza. We're crazy for the Salame e fontina. The margherita at 400 Gradi has been awarded WORLD'S best pizza, y'know, in case the whole 'Australia's best' thing wasn't quite enough for you. 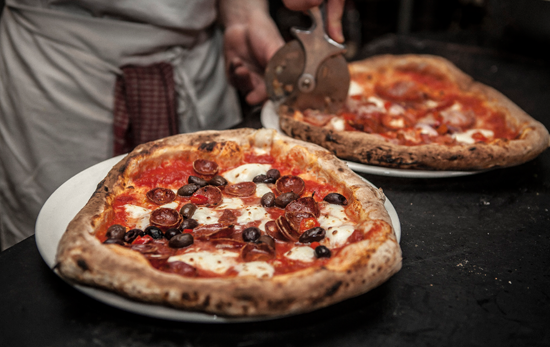 Lucio is consistently listed among Sydney's best pizzas, with good reason. We love the Filetto. Da Mario might be in the middle of nowhere, but that doesn't stop the pizza-loving crowds. Join the throng and order the margherita 'extra'. il.tavo's pizzas are made in the authentic Italian style and the result is simple pizza perfection. The Proscuitto is a favourite. The +39 pizza from +39 is a decadent dough masterpiece, with Fior de Latte, Berkshire sausage, mascarpone, gorgonzola cheese, and prosciutto di parma. Sicillian Cafe Bedda are dishing up a heavenly selection of pizzas. Our pick is the Salsicce with pork and fennel sausage and broccoli. The Parma from The Way to San Jose is worth a pizza road trip—and certainly deserving of a spot on our list of the best pizzas in Australia. When a pizza and a beer is the only thing that will save you, La Svolta is the place for you. Their Quattro formaggi is a classic and a must for any cheese lover. Gigi serve straight up awesome pizza. Not to be missed on any best pizza in Australia hit list. Using pizza dough made on spelt flour, and with a lean towards creative toppings (pancetta, gorgonzola, walnuts, and baked green apples grace the top of the heavenly Mela Bianca) Pizza Farro's circular symphonies are a firm favourite. Have we missed your favourite from our list of Australia's best pizzas? Let us know in the comments below!